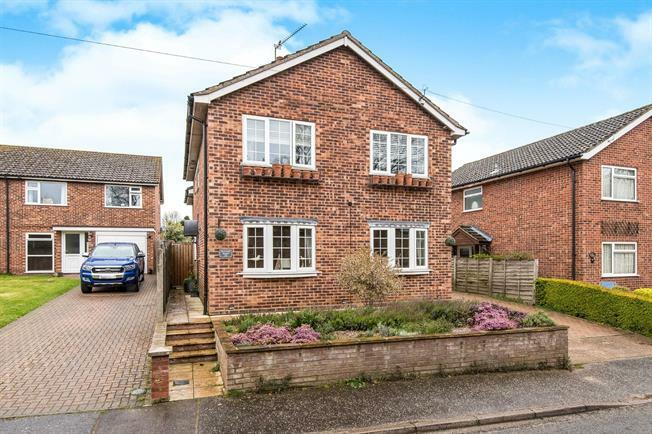 4 Bedroom Detached House For Sale in Norwich for Guide Price £365,000. GUIDE PRICE 375,000 - 385,000. A Four Bedroom Extended Detached House offering a double bay fronted generous lounge, modern kitchen, dining room, utility room, boot room, and downstairs cloakroom, upstairs has four good size bedrooms, the master enjoys a Juliette Balcony with a great view of the well kept garden, a family bathroom and separate shower room. Outside has a very generous well maintained garden and a driveway with ample parking.